On the 15th January 2009, the world witnessed the "Miracle on the Hudson" when Captain Chesley Sullenberger, nicknamed "Sully" (Tom Hanks) glided his disabled plane onto the waters of New York's Hudson River, saving the lives of all 155 aboard. However, even as Sully was being heralded by the public and the media for his unprecedented feat of skill, an investigation was required to determine if he had done the right thing. There are few stars left in Hollywood these days that have the drawing power of Tom Hanks. He is everyones favourite actor (including mine) and that is partly due to his excellence at being the 'everyman'. He simply excels in roles where he is cast as 'classic American man'. This is not a knock on his abilities but rather a much desired but rarely accomplished gift that helps the person of Hanks melt into whatever role he is given. He is a reassuring screen presence the likes of which we are rapidly losing in our multiplexes. Now to be fair (and provide a little balance) it is not always an overwhelming success. 2016 has already bore witness to the opposing view in this argument as seen in the terribly dull Hologram for the King. Sully, however, is a roaring success and Hanks is back at his best with a tight 90 minute timeline and Eastwood's, now trademark, straight to the point direction. 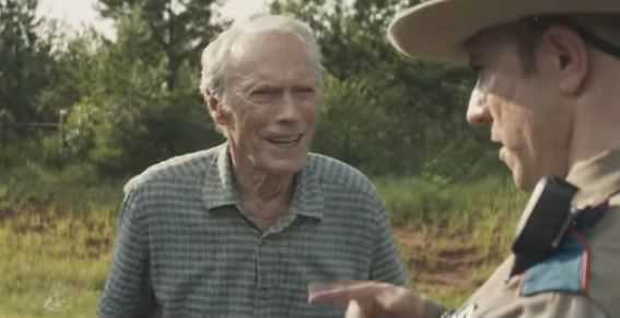 Clint Eastwood has given us a film that does exactly what is required in under 2 hours. In the wrong hands, it would not be inconceivable, to be faced with 2+ hours of dragged out exposition and flashback but Eastwood's no nonsense approach and Hanks endearing portrayal are just the right pairing to get the job done. The story is of course well known, so spoilers are not really an issue in some senses. However what was surprising to me was the after effects of the incident. Once the incident happened the story was very quickly forgotten (particularly on this side of the pond). Much of the film therefore focuses not the after effects and the action is based around conference tables, phone calls and depositions as Sully and his co-pilot (Aaron Eckhart) defend the choices they made against, amongst other things, computer simulations. Sorkin-esque in the delivery of technical info and jargon Sully, as a film, keeps up a relentless pace and the viewer is swept along without any point of derision or conjecture. The flash back sequences are well done and indeed, even though the outcome is known, there was still palpable tension in the delivery of the crash sequences. The panic of passengers and the onrushing water causing multiple knots in my stomach and a tightness in my chest. Sully is a film that has many elements in play. It highlights the battle of man vs technology and in doing so highlights what it is that sets us apart as humans. There is a glance at doubt as the viewer questions Sully's decision and there is also a nod to PTSD and the trauma of 9/11 as one, particularly powerful, sequence shows a bystander watching the plane descend into the New York skyline with a look of fear that is wholly understandable. This is a film about heroes, not the spandex wearing, villain vanquishing type but the everyday heroes. Heroes who make decisions that we may not be strong enough to. Heroes who're calm in moments of chaos and heroes who realise that nothing truly great can be achieved without the help of others. In a tale of everyday heroes who better to be then to be at the helm than the cinematic archetype of the everyday man in the great Tom Hanks? Oscar season is fast approaching and the Academy love both Hanks and Eastwood, this may not be a winner on the night but Sully will certainly be a worthy contender regardless of category. Sully is in cinemas from 2 December.